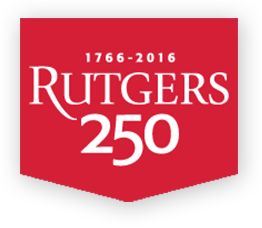 Founded in 2013, the Rutgers Center for Conservation Criminology was setup to provide a secure footing for work in the field of conservation criminology. In the past, little attention has been paid to wildlife crimes. There has been considerable agreement that current deterrent strategies of trying to intercept and punish the poachers though necessary, cannot be the solution. Given the vast territories involved, the advantage will always be with the poachers who know exactly when and where to strike, and how to evade the thinly-stretched patrolling rangers. At the School of Criminal Justice, we have been pioneering a new approach to preventing these crimes – Environmental Criminology – that charts the whole process from initial capture or killing of the animals through export and sale in destination countries. The idea is to identify “pinch points” in the process that provide promising opportunities for taking preventive action of whatever kind – using technology to restore the advantage to the rangers, enlisting the help of local people to protect the parks and reserves, strengthening custom controls, or disrupting the markets for wildlife products. Founded in 2002 and based at the School of Criminal Justice, the Rutgers Center on Public Security (RCPS) specializes in applying geospatial technologies to scholarly research. It offers a multi-disciplinary approach to the academic study and practical application of ways in which democratic societies can effectively address crime, terrorism and other threats to public security. This involves the prevention of, protection from, and response to natural or human-made events that could endanger the safety or security of people or property in a given area. In an unprecedented way, the RCPS engages all parts of the University and community agencies in exploring the needs and major consequences of heightened security. The mission of the Rutgers University Evidence-Based Institute for Research on Justice Practice and Policy (EBI) is to develop and strengthen the evidentiary foundation of juvenile and criminal justice policies and practices. EBI scholars work with policy makers and practitioners across multiple sectors to increase the use, understanding, and interpretation of research evidence for the advancement of more equitable and effective juvenile and criminal justice systems. The EBI maintains a strong foundation of translational, engaged scholarship to ensure that research informs practice and policy just as effectively as practice and policy inform research. The Racial Democracy, Crime and Justice Network (RDCJN) is composed of approximately 140 scholars from across the United States (and beyond). Members are diverse along a number of dimensions, including race/ethnicity, gender, academic discipline, stage of career, and focus and type of research. Collectively, the group is engaged in activities geared to exploring the implications of crime and justice processing for citizens’ participation in a democracy. The research and democratic participation focus is informed by currents of history, cutting edge crime and justice research, unfolding world events, and the collective interests and capabilities of participants. With support from the National Science Foundation (NSF), the Network undertakes three primary activities: (1) research and publications geared to improving understanding of how race/ethnicity, crime and justice are related; (2) an annual conference that provides a context for intellectual exchange regarding on-going research, and facilitates the development and carrying out of collaborative projects; and (3) a three-week Crime and Justice Summer Research Institute (SRI) that facilitates the academic success of junior faculty from underrepresented groups, and assures that their perspectives and approaches on crime and justice reach relevant audiences. Through these activities, the RDCJN makes progress in advancing the study of the intersections among democracy, crime, justice and actions of citizenship, and supporting junior scholars from underrepresented (and sometimes, well-represented) groups in pursuing career advancement.